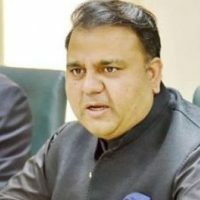 ISLAMABAD: Minister for Information and Broadcasting Chaudhry Fawad Hussain here on Friday said state-run television and radio would be reformed, brought under single administrative umbrella and would be taken out of financial deficit under a comprehensive plan. Speaking during question hour in the National Assembly, he said state-run TV and Radio would have one board and they would work under one administrative umbrella. Under a comprehensive plan, efforts were being made to turn these organisations into profit earning entities, he added. The minister said state-run TV would be taken out of financial loss in a year, while under a business plan work would be done on reformation of state-run radio. He said Rs5.65 billion were being spent on the radio every year while it was only earning Rs400 million, adding there was a time when transmitters were made in Pakistan but the situation had reversed and nothing was made here and everything was imported. Fawad said reform and progress of state-run radio was not possible without new and modern equipment.